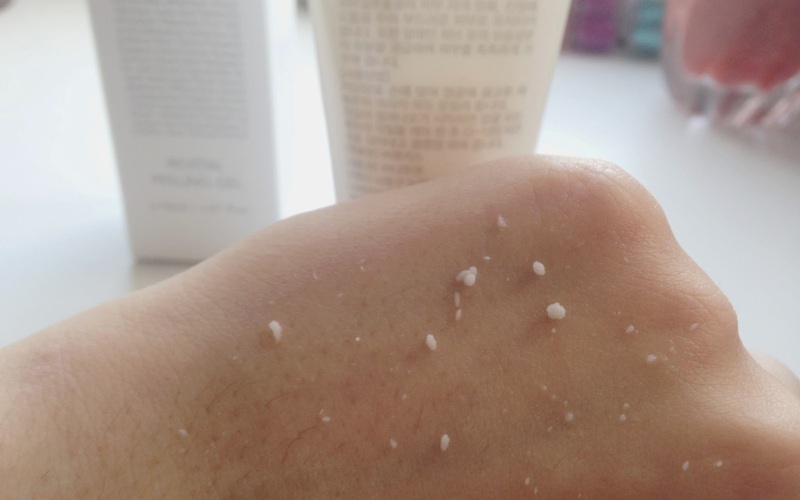 Since I have post inflammatory hyperpifmentaions (aka acne scars), exfoliation is a big big must for me. I find that gentle scrubs don't do much for me so I'm always trying out new peeling gels as they are gentle and exfoliate the skin very effectively. The packaging is simple yet sleek. Its also a great size for traveling. 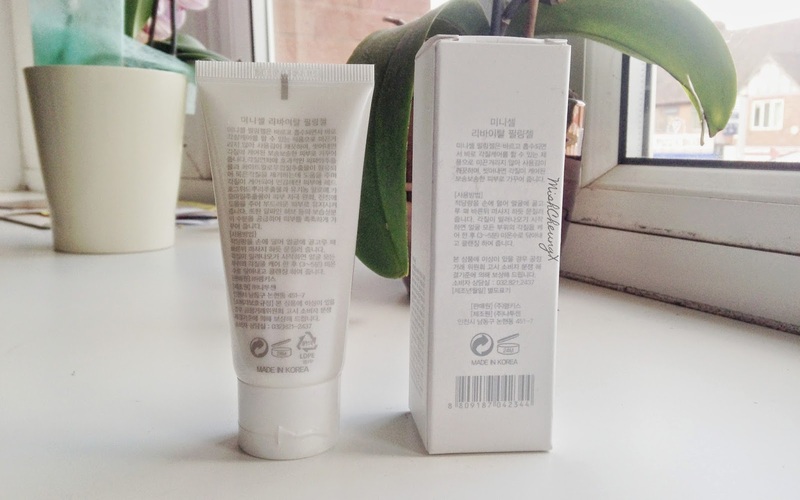 The peeling gel has a soft clean floral scent, which I really like. The gel contains red hogweed root extracts, organic aloe and chamomiles extracts which help sooth sensitive skin and alpine herbs to moisture the skin. 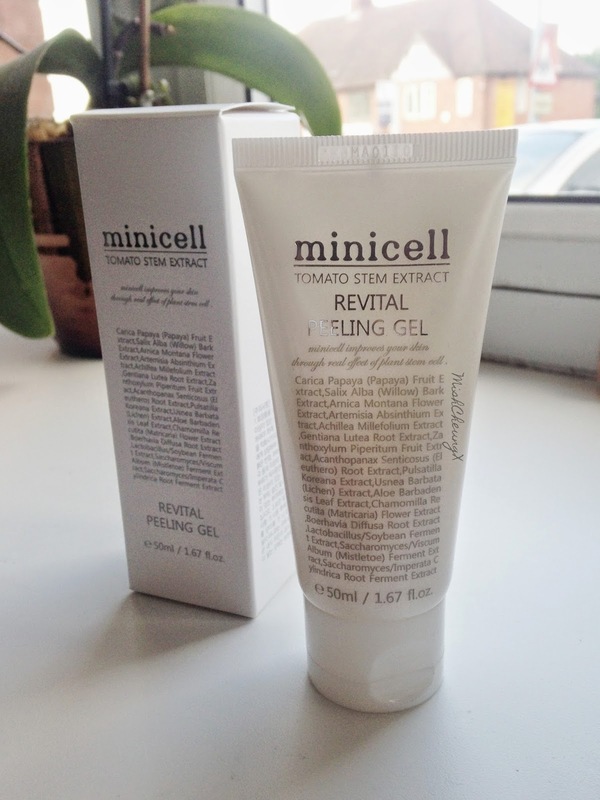 These extracts makes the peeling gel standout from others, as minicell has gone that extra step to add extra benefits in the product. The consistency of the gel is thicker than other gels I have used. The gel doesn't spread much, also once the little dead cell balls form, it dries quite quick so you end up applying more product. You need to make sure that your face and hands are fully dry when you apply it, as the gel does not work when the skin is wet, even if the skin slightly slightly wet. 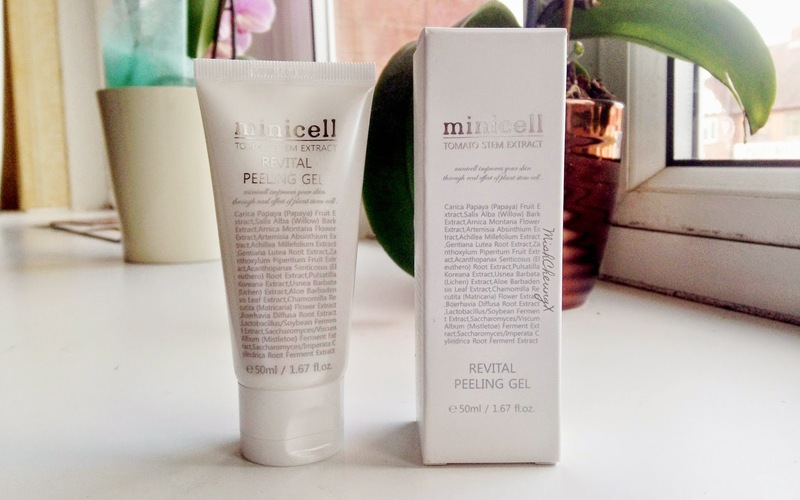 The peeling gel leaves the skin feeling soft and smooth. The skin also looks more radiant as the healthy cell beneath are exposed. I applied the peeling gel to a dry surface, and then gently rub the gel in circular motions. The dead cells are removed and forms little balls. Then wash it off with water to remove everything. Would I recommend it? : Yes, it does job and removes dead cells effectively, leaving the skin soft and smooth. It also slightly hydrates the skin too. It removes more dead cells than other peeling gels I have tried.